I'm all giddy about the newest shop news! 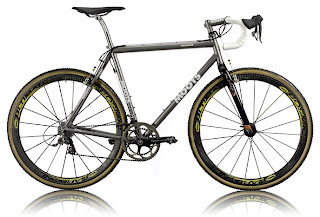 We now carry Moots Titanium Frames! Moots is a small, detail-oriented bicycle company in Steamboat Springs, CO. Titanium offers unsurpassed ride quality, allows hand-built craftsmanship detail, and the best long-term value of any high-end frame material. Moots offers Road, Cyclocross, MTB, 29ers, and Commooters. We currently have the Compact Frame (pictured above) in the shop. I have a PsychoX (pictured below) on the way for myself. 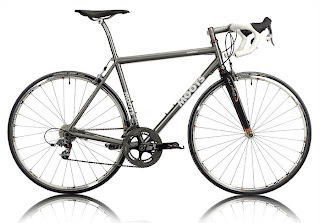 Stop in and see why a Moots should be yours, too.